Drug Raids: Las Vegas Narc Serving Marijuana Search Warrant Kills Father-to-Be In His Own Bathroom A 21-year-old father-to-be was killed last Friday night by a Las Vegas Police Department narcotics officer serving a search warrant for marijuana. Trevon Cole was shot once in the bathroom of his apartment after he made what police described as "a furtive movement." Police have said Cole was not armed. Police said Monday they recovered an unspecified amount of marijuana and a set of digital scales. A person identifying herself as Cole's fiancée, Sequoia Pearce, in the comments section in the article linked to above said no drugs were found. Pearce, who is nine months pregnant, shared the apartment with Cole and was present during the raid. "I was coming out, and they told me to get on the floor. I heard a gunshot and was trying to see what was happening and where they had shot him," Pearce told KTNV-TV. According to police, they arrived at about 9 p.m. Friday evening at the Mirabella Apartments on East Bonanza Road, and detectives knocked and announced their presence. Receiving no response, detectives knocked the door down and entered the apartment. They found Pearce hiding in a bedroom closet and took her into custody. They then tried to enter a bathroom where Cole was hiding. He made "a furtive movement" toward a detective, who fired a single shot, killing Cole. "It was during the course of a warrant and as you all know, narcotics warrants are all high-risk warrants," Capt. Patrick Neville of Metro's Robbery-Homicide Bureau said Friday night. But a person identifying himself as Pearce's brother, who said he had spoken with his sister, had a different version of events: "The police bust in the door, with guns drawn to my little sister and her now deceased boyfriend," he wrote. "My sister is 8 ½ months pregnant, two weeks until the due date. But they bust in the door, irritated they didn't find any weapons or drugs, drag this young man into the restroom to interrogate him and two minutes later my sister hears a shot. They shot him with a shotgun, no weapon. For what? My sister is a baby, this young man is a baby, now my sister is at his house telling his mom her son is dead, and he is barely 21." Pearce herself told the Las Vegas Review-Journal Monday that police forced her to kneel at gunpoint in the bedroom and that she could see Cole in the bathroom from the reflection of a mirror. According to Cole, police ordered Cole to get on the ground, he raised his hands and said "Alright, alright," and a shot rang out. According to Pearce and family members, Cole had no criminal record, had achieved an Associate of Arts degree, and was working as an insurance adjustor while working on a political science degree at the University of Nevada-Las Vegas. He was not a drug dealer, Pearce said. "Trevon was a recreational smoker. He smoked weed, marijuana. That’s what he did," she told KTNV-TV. "They didn't have to kill him. We were supposed to get married next year, plan a black and white affair,” she said. "He was all I ever knew, we were gonna make it." LVPD Monday identified the police shooter as narcotics detective Bryan Yant, a 10-year veteran of the force. This is the third time Yant has controversially used his police firearm. In 2002, he shot and killed a robbery suspect, claiming the suspect, who was on the ground, aimed a weapon at him. But although the suspect's gun was found 35 feet away, a jury took only half an hour to find the shooting justified. The following year, he shot and wounded a man armed with a knife and a baseball ball who had been hired to kill a dog that had killed another neighborhood dog. Yants claimed the man attacked him and that he mistook the bat for a shotgun, but the man said he was running away from Yants when Yants fired repeatedly, striking him once in the hip. Because there was no death in that case, no inquest was held, but the department's use of force board exonerated Yants. Yants is on paid administrative leave while the department investigates. The family has hired an attorney to pursue a civil action. And another American has apparently been killed for no good reason in the name of the war on drugs. "Narcotics warrants are high risk warrants," said Capt. Neville. The question is for whom, and the answer is obvious: The people on the receiving end of them. The police? Not so much, as we have shown in our annual surveys of police casualties in the drug war. 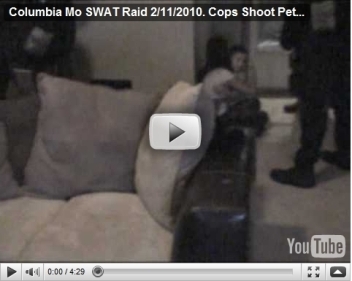 The February SWAT team raid on Columbia, Missouri, resident Jonathan Whitworth and his family didn't start causing political tremors until video of the raid, in which one of the family's dogs was killed and another wounded, went viral on YouTube last month. But now, even after the Columbia Police Department has reined in SWAT with new policies, outrage and concern over the raid and the way the SWAT team has been used continues to reverberate. That was evident at a city council meeting Monday night, where a citizens' group whose formation was inspired by the SWAT raid, CoMoCitizens, urged the council to go a step further and act to make permanent the reforms announced by Police Chief Ken Burton. According to its web site, the group opposes the use of SWAT and the use of search warrants in nonviolent cases, including drug possession and distribution. "It goes without saying that it is policy that needs to be changed," Warren said in remarks reported by the University of Missouri newspaper The Maneater and the Columbia Missourian. "Chief Burton has made significant policy changes and I've come here to ask you to make these policy changes permanent. I would also like to request that you consider enacting a policy that prohibits execution of search warrants which are inherently violent for nonviolent offenses," said Warren. "This would ensure the public that there is at least less of a risk of an incident such as the February 11 SWAT raid occurring in our community." Making the restrictions on SWAT and the execution of search warrants binding would reassure the public and keep law enforcement officers safer, Warren said. "The raid itself is what escalates the situation to out-of-control mode," he told the council before reading from Radley Balko's Overkill: The Rise of Paramilitary Policing in America. "These raids bring unnecessary violence and provocation to nonviolent drug offenders, many of whom were guilty of only misdemeanors," Warren quoted Balko. 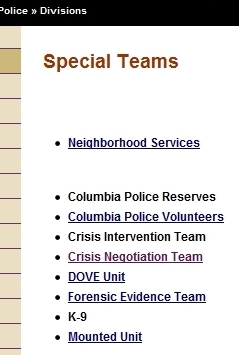 The council did not act on CoMoCitizens' requests, but the emergence of the group is yet another indicator that the February SWAT raid has roused Columbia's citizenry. And that is precisely what it will take to make police law enforcement rein in its aggressive tactics against the citizenry. Maybe something good is coming out of that misbegotten raid after all. The capital of Jamaica, Kingston, is still smoldering -- literally -- after four days of violent conflict between Jamaican security forces and a fugitive drug "don" (as the heads of gangs are called there) and his supporters left at least 73 people dead by official count. The fighting took on much of the form of an urban insurrection, with gunmen attacking police and soldiers and assaulting at least 18 police stations, one of which burned to the ground. Three policemen were killed in the first day of fighting. The fighting pitted followers of Christopher "Dudus" Coke, an alleged major gang leader and drug and weapons trafficker wanted by the US, against a government they felt had betrayed him -- and them. Last week, after months of trying to block an American extradition request, the government of Prime Minister Bruce Golding gave in to mounting political pressure and ordered him sent to the US, setting off mass demonstrations by his followers centered in the tough Kingston neighborhood of Tivoli Gardens. Dudus' supporters put up street barricades of wrecked vehicles and other debris and armed young men strolled the streets amid reports that members of other Jamaican drug gangs, or posses, were streaming into to Kingston to join the fight. Golding announced a state of emergency Sunday night after the first attacks on police stations, but it took until Thursday for the police and the army to exert control over Tivoli. Although the violence has died down, many issues remain unresolved. Dudus is still a free man, having eluded the authorities' assault on his stronghold in Tivoli Gardens, the prime minister's relationship with Dudus is being closely scrutinized, and now, complaints about unjustified killings by security forces this week are once again raising serious concerns about Jamaica's human rights record. And while the violence has died down, it hasn't ended. Police stormed a house in the middle class community of Kirkland Heights Thursday after hearing that Dudus may have holed up there, setting off a two-hour firefight. Among the casualties there was the brother of former Minister of Industry and Commerce Claude Clark, who was killed by security personnel in the crossfire. The confrontation in Kingston is shining the spotlight on long-acknowledged but usually quietly ignored connections between Jamaica's two main political parties, the ruling Labor Party and the opposition People's National Party, and tough Kingston slum gangs. Ever since violent election campaigns in the 1960s and 1970s, when leaders of both parties recruited neighborhood toughs, the "rude boys" of reggae lyrics, in Kingston slums like Tivoli or Trenchtown to act as their deniable armed wings, the parties have relied on these neighborhood gangs not only for fighting when necessary, but also to deliver the vote. In return, they turn a blind eye to some of the gang's more nefarious activities. Dudus, as leader of the Tivoli Gardens posse, which was affiliated with Labor, had long been an ally of Prime Minister Golden. The neighborhood is even part of Golden's constituency -- thus the anger against the government by residents who had benefited from Dudus' largesse amid poverty and neglect from the government. Like Pablo Escobar in Colombia, who gained popular support by building schools and soccer stadiums, or the contemporary Mexican drug cartels, who do the same sort of public-minded philanthropy for the same mix of genuine and public relations purposes, Dudus provides services -- as well as security -- for Tivoli Gardens and its residents. In doing so, he came to be viewed by many as a sort of Robin Hood figure. "Coke was the standard 'Teflon don,'" said Larry Birns, head of the Council on Hemispheric Affairs, whose associate, Katherine Haas, this week published in a most timely fashion, Jamaica: Different Drug War, Different Strategy, a critique of US drug policy on the island. "For a relatively small percentage of the swag, he saw to it that there was a tremendous amount of goodwill in the neighborhood for his candidates. For Coke, it was always Labor, the Republicans of Jamaica." 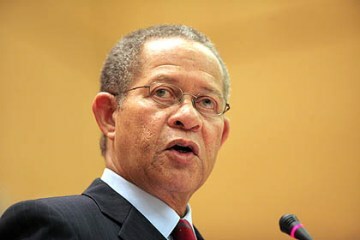 Prime Minister Golding did his part by stalling for nine months the extradition order against Dudus after he was indicted on drug trafficking and weapons smuggling charges by a federal grand jury in New York. He even went as far as hiring a Washington, DC, public relations firm to attempt to lobby the indictment away, but when that became public knowledge, Golding's support for Dudus was not longer politically tenable. "Coke was working for the JLP and Golding stalled as long as he possibly could to get the extradition going, but his ability to sustain his position vanished, so they had to go after Coke," Birns said. "But Coke had developed a cordon sanitiare of affection and appreciation because of what he has done for his neighborhood." "They do have popular support because of the numbers of beneficiaries, and the financial support they provide to the communities," agreed Jamaican marijuana legalization activist Paul Chang. US drug policy toward Jamaica hasn't helped, said Birns, whose organization has become increasingly critical of drug prohibition in recent years. American efforts to ameliorate some of the negative results of that policy are too little, too late, he said. "US drug policy plays a role in this because the administration has announced a new program that will emphasize institution-building all the drug-infected countries in the region and emphasize the demand side, but we've heard all that before," he said. "Administration after administration has hurled rhetoric at the problem, but the existence of the drug cartels shines a laser-light like on the results of these policies. Anyway, although none of these islands has a viable economy, they want to give the paltry sum of $100 million to the Caribbean and Central America under Plan Merida. Guatemala alone could consume all that," he said. "When it comes to Jamaica, you have the confluence of inadequate Latin America policy-making fused to a misconceived drug policy, and that becomes a very explosive mixture, and the ensuing violence we see in Jamaica is just the result," Birns summed up. As of this writing, Dudus is still on the lam, Tivoli Gardens is still smoldering, Amnesty International is calling for an investigation of alleged street executions by security forces, and Prime Minister Golding is still holding on to power. But the violent challenge to the state's monopoly on the use of force has rocked Jamaica and revealed the dark webs of power linking politics and the underworld. The reverberations from this week will be felt in Jamaica for a long time to come. As is periodically the case, law enforcement SWAT teams have once again come under the harsh gaze of a public outraged and puzzled by their excesses. First, it was the February SWAT raid on a Columbia, Missouri, home where police shot two dogs, killing one, as the suspect, his wife, and young son cowered. Police said they were looking for a dealer-sized stash of marijuana, but found only a pipe with residues. When police video of that raid hit the Internet and went viral this month, the public anger was palpable, especially in Columbia. Then came a botched SWAT raid in Georgia -- not a forced entry, but otherwise highly aggressive, and directed at the wrong building -- that left a 76-year-old woman hospitalized with a heart attack. And then came the tragedy in Detroit two weeks ago, where a member of a Detroit Police SWAT team killed seven-year-old Aiyana Jones as she slept on a living room couch. Allegedly, the officer had a tussle with the girl's grandmother as he charged through the door after a flash-bang grenade was thrown through the window, and the gun discharged accidentally, though the account has been disputed by the family's attorney. In this instance, police were not looking for drugs but for a murder suspect. He was later found in another apartment in the same house. Again, the public dismay and anger was palpable. Botched (wrong address or wrong person) raids or raids where it appears excessive force has been used are certainly not a new phenomenon, as journalist Radley Balko documented in his 2006 study, "Overkill: The Rise of Paramilitary Policing in America." But most raids gone bad do not get such wide public or media attention. The victims often are poor, or non-white, or both. Or -- worse yet -- they are criminal suspects, who generally generate little sympathy, even when they are abused. And while they were originally created to handle very special problems -- terrorist incidents, hostage situations, and the like -- there just aren't that many of those. 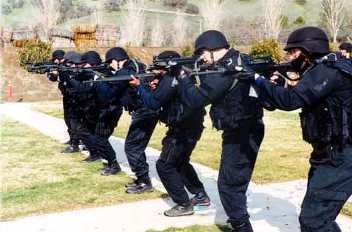 As a result the use of SWAT has seen "mission creep," where SWAT teams are now routinely called out to serve search warrants, particularly in drug cases. In 1980, 2,884 SWAT deployments were recorded nationwide; the number today is estimated by experts at 50,000 annually or more. The sheer normality of SWAT teams doing drug raids now, as well the status of their victims, has resulted in effective immunity and impunity for SWAT teams that commit errors or engage in unnecessary force. Most of the time when a raid goes bad, nothing happens. It seems to take an especially outrageous incident, like Columbia or Detroit, to inspire public concern, and even then, it is the citizenry and perhaps part of elected officialdom against the powerful law enforcement establishment. Creating effective oversight over SWAT teams and their paramilitary raids is not easy -- but it can be done, or at least started. The now infamous 2008 raid on the home of Berwyn Heights, Maryland, Mayor Cheye Calvo by a Prince Georges County Police SWAT team is a case in point. In that raid, police were tracking a package they knew contained marijuana, and once it was delivered to Calvo's house and taken inside, the SWAT team rushed in, manhandled Calvo and his mother-in-law and shot and killed Calvo's two dogs. But further investigation showed the Calvos were doubly victimized, not criminals. They were victims of drug dealers who would send packages to unknowing addresses, then pick them up after they were left by the delivery man. And they were the victims of a SWAT team run amok. But Prince Georges SWAT hit the wrong guy when it Calvo's house, and not just because Calvo and his mother-in-law and his dogs were innocent victims. Calvo was not just an upstanding member of the community -- he was the mayor of his town. And beyond that, his former day job with the National Conference of State Legislatures (NCSL) gave him both personal connections to legislators and the knowledge to work the system. Prodded by Calvo and others, the Maryland legislature last year passed a bill making it the first state to make any attempt to rein in SWAT. That bill requires each agency with a SWAT team to file annual reports detailing their activities and the results of their raids. The effort was opposed by law enforcement, of course, but legislators were swayed by hours of gut-wrenching testimony from raid victims. "It was the telling of the stories of a number of people who had suffered either botched or ill-advised raids," Calvo explained to Drug War Chronicle. "It happens so often, and the stories don't get told in a meaningful way, but my incident made such wide headlines that people called me reaching out, and once those circles developed, we were able to get some political momentum," he recalled. "I happened to be in a unique position," he said. "Through my experience at NCSL, I knew a lot of legislators and worked with the Judiciary Committee in Maryland to get a bill drafted. When we had hearings, it wasn't just one or two stories, probably more like a dozen, including people we didn't know about, but who just showed up to tell their stories. There was a wrong house raid with a dog killed, there was a warrant served at a bad address, a mother whose house was raided after her son was caught with a gram of marijuana, there was a triple no-knock raid at three homes with the same name on all three, there was a former member of the judiciary committee whose mother's home was raided because police were looking for a relative. They kicked in her door and knocked her to the ground," Calvo recalled. "Each story helped connect the dots," he explained. "Those stories made a powerful case. We were not saying the Assembly should micromanage the police, but we wanted to shine a light on what was happening. The first step was making people aware, and getting the SWAT data makes tangible and comprehensive what is otherwise anecdotal." Although the first formal report on Maryland SWAT raids is not due until this fall, preliminary numbers from the first six months of reporting have already generated more stories in the press and kept the issue alive. And they provide grist for the reform mill. "It's not just the number of raids, it's that 92% of them are for search warrants, not hostage situations or bank robberies or the like," said Calvo. "It's that two times out of three, they kick in the door. It's that in some jurisdictions -- Prince Georges, Anne Arundel, Annapolis -- the majority of deployments are for misdemeanors or nonviolent felonies. Prince Georges had 105 raids against nonviolent offenders in six months, and that speaks to deeper policy problems. Baltimore County deployed only once for a nonviolent offense. That's more a model of professionalism." Calvo said he plans to use the full year's worth of SWAT raid reporting due this fall to return to Annapolis to push for further reforms. "The legislature could impose training standards or other statewide protocols," he said. "It could impose more transparency. A full year of data will be helpful with that. Hopefully, the reporting requirement passed last year will end up being just the first step in a multi-step process to insert some better judgment into the process for when these paramilitary units are deployed." The dog-killing SWAT raid in Columbia, Missouri, has also resulted in activism aimed at reining in SWAT, and it has already had an impact. Under withering public criticism, Columbia Police Chief Ken Burton quickly instituted changes in the SWAT team's command and control structure and when and how it could be used. He also came out for marijuana legalization, saying he believed many police would be happy to not have to enforce pot prohibition. The activism is continuing, however. "There is a lot going on in response to that raid," said Columbia attorney Dan Viets, a member of the board of national NORML. "The ACLU and NORML are involved, but so are groups of citizens who have not been activists before. And our police chief has been pretty responsive -- he doesn't have that bunker mentality that so many cops do," Viets said. "For us, it's not so much SWAT as the use of search warrants for nonviolent crimes. Whether they have SWAT on the back of their jackets or not, they still do the same brutal stuff," the defense attorney continued. "The execution of a search warrant is almost always a violent act, it's a home invasion. It isn't that they're SWAT that matters, it's the fact that they engage in violence in the execution of those search warrants," he said. "We are trying to suggest that police not use search warrants for nonviolent crime," said Viets. "They can rely on the tried and true: Send in an informer to do a controlled buy, then get an arrest warrant. Even the chief has said that they would try to arrest people outside their homes." Similar outrage and activism is occurring in Detroit, where anti-police sentiments were loudly voiced in the days after the killing of Aiyana Jones. Police brutality activists usually isolated in their complaining are being joined by everyday citizens. The Detroit City Council is investigating. The Rev. Al Sharpton spoke at Jones' funeral. But whether the uproar results in a reformed SWAT policy remains to be seen. "The death of that girl in Detroit was an inevitable result of the broad use of these things," said Calvo. "When you're doing 50,000 or 75,000 SWAT raids a year, it will eventually happen." "Whatever one thinks about using SWAT tactics when looking for a murder suspect, the results in Detroit show how dangerously volatile these tactics really are," said Dave Borden, executive director of StoptheDrugWar.org, who is also the moving force behind the Americans for SWAT Reform web site and campaign. "There is every reason to believe that conducting a late night raid and detonating flash bang grenades led to the physical contact between the woman and the officer in which the gun discharged, killing the girl. That's all the more reason to avoid those tactics wherever possible, certainly in routine drug search warrants." "In Detroit, they were going after a murder suspect, but there are a whole lot of questions about their tactical intelligence," said criminologist David Klinger, a former LAPD and Redmond, Washington, police officer and author of "Into the Kill Zone: a Cop's Eye View of Deadly Force," who now works for the Police Executive Research Forum. "Did they know there were children present? Why didn't they just do a contain and call?" where police secure the perimeter and tell the suspect to come outside, he asked. While sending in the SWAT team in Detroit may be justified, said Klinger, the use of SWAT for small-time drug raids is not. "If you're sending in a SWAT team for a small amount of marijuana, that doesn't make sense," said Klinger. "There are some domestic agencies that don't understand that they should be utilizing some sort of threat assessment. That's one of the big issues regardless of who has oversight. A lot of it is a training issue about when SWAT should be utilized." There are different pressure points where reformers can attempt to get some control over SWAT deployments. They range from the departmental level, to city hall or the county government, to the state house, and to Congress. "The first level of oversight should be within the agency, whether it's the chief or some other officer with oversight over SWAT," said Klinger. "You need to make sure they have appropriate command and control and supervision, appropriate surveillance, tactical intelligence, and evidence of something out of the usual as opposed to just 'there's drugs there.' There needs to be a threat matrix done -- are there unusual fortifications, is there a history of violence, are weapons present other than for self protection?" Neill Franklin is a former Maryland police officer with SWAT experience. He is also the incoming head of Law Enforcement Against Prohibition (LEAP). For Franklin, SWAT has limited legitimate uses, but aggressive, paramilitarized policing has gone too far. He blames the war on drugs. "Back in the 1970s and 1980s, we didn't use SWAT teams to conduct search warrants unless it was a truly documented violent organization," he said. "As the drug war escalated, we started using SWAT to execute drug-related warrants. When I first started as an undercover officer, the narcotics team executed the warrant, along with two or three uniformed officers, but not with the high-powered weapons and force we use today. The drug war is the reason for using these teams and the driving force behind them," said the former narc. "Because police have become accustomed to serving so many warrants, they've also become accustomed to using SWAT for every warrant," said Franklin. "In the past, they were more selective. You had to provide the proper intel and articulate why a SWAT team was needed, what was the history of violence, what was the prospect of violence. Some departments now are very strict -- you have to ID the house and the people you're after, you have to photograph the house and the door you're going to go through, you have to know who should be in that house, what special circumstances may be involved, and whether there are children or animals in the house -- but now, I think a lot of departments aren't doing the proper intel." "You need a threat matrix that talks about unusual weapons," said Klinger. "Does some guy have an automatic shotgun? Is he a major dealer? That's when you might want to send in SWAT, but it's not a good idea to routinely use SWAT." In addition to doing surveillance and gathering intelligence, police need to ensure they are using the right personnel for SWAT teams, said Franklin, alluding to the fact that such teams are often accused of having a "cowboy" mentality. "These guys are self-selected and handpicked," he said. "You need people in good physical shape, but you have to have a process for selecting the right people with the right personalities." Franklin also pointed a finger at judges. "I think a lot of the time, judges give warrants out too easily," he said. "A lot of them are just boilerplate, already typed up; you just fill in the blanks and a little detail. They are too easy to draft and get approved by a judge. The judges need to be a bit more strict and ask some questions to ensure a no-knock warrant is justified." But departmental policies are where to begin, Franklin said. "Policy is the critical point," said Franklin, "policy is the key. And maybe judges need to be involved in asking those policy questions. Are there kids in the home? Dogs? Special circumstances? Do you have photos? I don't think judges are asking enough questions, and there is too much rubber-stamping of warrants. The judges are too loose on this; they need to tighten up." The next levels of oversight -- and opportunities for intervention -- are the local and state governments, said Klinger. "It generally stops with the mayor and city council, but now Maryland has a law where they have to report, and I don't have a problem with that. We are a representative republic, and the power of the police is very strong. The government operates by the consent of the governed, and the governed need to have information about what their police are doing. Why not?" There is plenty of work that could be done at the state level, said Eric Sterling, head of the Criminal Justice Policy Foundation (CJPF). "You could amend a state criminal procedure statute to require that a specialized kind of warrant would be needed to use a SWAT team. You could spell out particular things that had to be established, you might require additional verification of informant information beyond an ordinary search warrant, or specific evidence about possession of weapons and evidence about their connection to criminal activity, you could require higher degrees of confirmation about the address, you could require specific findings regarding the presence of children or the elderly, that a buy be done not by an informant but by a member of the law enforcement agency, that there be continuous surveillance of the property for some period before the raid takes place to verify who is present," Sterling said, ticking off a list of possibilities. As Missouri attorney Viets noted above, it's not just SWAT, it is aggressive tactics like dynamic entry and no-knock raids that are also under scrutiny, whether done by SWAT or by other police units. It is those situations that are most dangerous for police and citizens, with the breaking down of doors, the yelling of commands, the flash-bangs, the confusion. And even the cops are talking about it. "There is a big debate going on in the SWAT community," said Klinger. "Do you do a dynamic entry, or do you do something less? Some agencies will do a breach and hold, where they get through the front door, but stop there until they make contact with people inside. Another version is the 'contain and call-out', where they announce their presence and ask the people to come outside. Then, officers can carefully, slowly go through the place, and you know that if someone has a gun, he's after you. Sometimes we need to be aggressive, and there's nothing wrong with a dynamic entry, but you want to make sure you're using SWAT in the appropriate circumstances. We want to be minimally aggressive." "It's those no-knock warrants, whether it's SWAT or not, where people tend to get hurt, where their animals are slaughtered," said Franklin. "That seems to be the norm now. You hear SWAT personnel joking about this all the time. If you know there's an animal in the house, why don't you just have Animal Control along? Unless that dog is so aggressive he's actually ripping people apart, he could be secured. Mostly they are just doing what they are supposed to do: barking and holding their ground." "I don't know why they're shooting dogs," Klinger said with a hint of exasperation. "Unless they were being aggressive and attacking, you need to rethink what you're doing if you're shooting dogs. Just take a fire extinguisher with you and zap the dog with it. 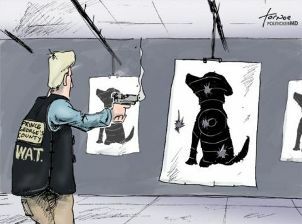 Shooting dogs unnecessarily suggests a lack of training about how to discern what is and is not a threat." As long as the war on drugs continues, so will the issues around SWAT, no-knock raids, and search warrants. "The vast majority of these warrants are drug related," said Franklin. "The ultimate solution is ending prohibition. That would resolve so many issues." Somewhat surprisingly, Klinger agreed. "We should just legalize drugs and call off the hounds, but if we're going to have drug prohibition, we have to be able to enforce it," he said. "If the rest of the polity says no to legalization, we can't have a regime where dopers just sit in their homes and do what they want. But if we are going to have the prohibition model, we need appropriate oversight over policing it." Sterling pointed out some other pressure points for SWAT reform until we get to that day when drug prohibition is just a bad memory. "A private way of thinking about this is to use the Commission on Accreditation for Law Enforcement Agencies, Inc. to include in accrediting criterion better control or management of the way in which SWAT teams are used," said Sterling. There are also reform possibilities at the federal level, Sterling said. "If you want to set national standards, Congress arguably has the power under the 14th Amendment in terms of equal protection to enforce the Fourth Amendment," he said. "You could provide that SWAT activity carried out outside the limits of such a special warrant could result in civil liability, denial of federal funds to the agency, or potential criminal penalties. There are examples of this in the wiretap law. It's very, very strict in its requirements about what law enforcement agencies have to do and it has very strict reporting requirements. There is certainly precedent in national law for how we regulate highly invasive, specialized law enforcement activities." Sterling, a Maryland resident himself, said the Maryland SWAT reporting law passed after the Calvo raid shows political space can be created to support reform, but that it isn't easy. "It took raiding the mayor and killing his dogs and their being completely innocent white people to get relatively minor legislative action," he said. "The record keeping requirement is clearly a baby step toward challenging SWAT, and there was very decided knee-jerk law enforcement opposition to it." It's going to take some organizing, he said. "You have to have a collection of groups deciding to make this an issue the way they made addressing the crack/powder cocaine sentencing disparity an issue. I'm not aware that this has developed yet, and perhaps this is something the drug reform community should be doing. We could take the lead in trying to raise this with more powerful political actors." 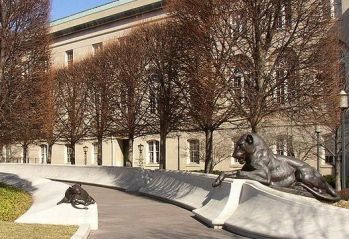 Tomorrow is National Law Enforcement Memorial Day, a day to mark the service of those law enforcement officers who died in the line of duty. Fortunately for drug law enforcers, last year did not leave a lot of fallen officers to memorialize. And while it may cut against the grain of countless pop culture depictions about dangerous drug dealers, last year was not unusual. By contrast, according to FBI preliminary figures, 48 law enforcement officers were "feloniously killed in the line of duty"-- none of them doing drug law enforcement. But that was less than half of the 126 line of duty officer deaths last year. Auto accidents killed 34, drunk drivers killed nine, heart attacks killed nine more, seven died after being struck by vehicles, and four died in aircraft accidents (including the three DEA officers). Duty-related illness, 9/11-related illness, and motorcycle accidents accounted for three each, two died after being shot accidentally, and one was beaten to death. According to historical data provided to the Chronicle by the National Law Enforcement Officers Memorial Fund, which also compiles statistics on police line of duty deaths, last year's low death toll among officers enforcing the drug laws is not a fluke. In the decade between 1978 and 1988, an average of 6.5 officers were killed each year; in the following decade, the number was 6.2; and in the last 10 years, an average of 4.3 officers were killed each year enforcing the drug laws. The single bloodiest year for drug law enforcement was 1988, when 12 officers died. In 2008, the number of police who died maintaining drug prohibition was seven; in 2007, it was four; it 2006, it was five; in 2005, it was four. When placed in the context of the more than 1.5 million drug arrests made in each of those years, it is clear that only one in every several hundred thousand drug arrests leads to an officer's death. During the past 10 years, the odds were less than 1 in 350,000. But while drug law enforcement is not in itself that dangerous for police, certain police tactics raise the risk -- for both law officers and the recipients of their attention. Of the 20 officers killed enforcing the drug laws since 2005, nine were killed in drug raids and five were killed doing undercover work. Two of the 2008 officer deaths demonstrate the risks involved in aggressive forced-entry raids. In Virginia, Chesapeake Police Detective Jarrod Brent Shivers, who also doubled as the door-rammer for the SWAT team, was killed by Ryan Frederick, who shot through a door in fear for his life in reaction to the home invasion. Frederick, who had recently been burgled, was eventually sentenced to 10 years in prison. The cops were looking for a marijuana grow, but found only Japanese maple trees which the informant apparently mistook for pot. FBI Agent Samuel Steele Hicks died in another raid gone bad. While serving a forced entry narcotics search warrant in Indiana Township, Pennsylvania, Hicks was shot and killed by the suspect's wife, Christina Korbe, who fired blindly from a bedroom at what she later said she thought were intruders. Although Korbe was not a target in the investigation of an 18-year drug conspiracy, she has since been charged with a string of drug offenses in addition to facing a murder charge. In November 2006, undercover Atlanta narcotics officers doing a forced entry raid shot and killed 92-year-old Kathryn Johnston after the woman fired at the people breaking down her door in a high-crime neighborhood. In this case, at least, the police were held accountable, in part because their conspiracy to cover up their fabrication of evidence for a search warrant quickly unraveled. Three of them went to prison. On January 6, 2008, police in Lima, Ohio, shot and killed a 26-year-old mother of six, Tarika Wilson, during a raid aimed at her boyfriend. The police shooter was eventually found not guilty for killing her. The following day in North Little Rock, Arkansas, a police SWAT team raided the home of Tracy Ingle. Awakened by a ram battering his door and thinking he was under attack by armed robbers, Ingle grabbed a broken pistol to scare them off. Officers fired multiple shots, wounding him five times. He spent a more than a week in intensive care before police removed him, took him to the police station, and questioned him for five hours. He was charged with running a drug enterprise even though no drugs were found. In May, Connecticut police raiding an apartment after being informed that people were smoking crack there, shot and killed Gonzalo Guizan, who was unarmed. Police said he charged at them. All they found was a crack pipe. This year, at least two people, Florida grandmother Brenda Van Zweiten and Memphis resident Malcolm Shaw were killed in separate SWAT-style raids on their homes the same week in March. In both cases, police claimed the victim was armed. Whether Van Zweiten, who was raided over small-scale drug dealing out of her house, or Shaw, who was raided over simple drug possession (!) intended to attack police or were merely trying to defend themselves from intruders breaking into their homes, will never be known because they are dead. It's not just people. Dogs also seem to be a favorite target of drug-raiding police. That has certainly become an issue in the February SWAT raid in Columbia, Missouri (see related story here), which has resulted in widespread outrage after a video of the raid found its way to YouTube last week. In that incident, police executing a search warrant over alleged marijuana sales killed one dog and wounded another, and terrified the suspect's wife and child, but found only a tiny amount of weed and a pipe. Another infamous dog-killing SWAT raid occurred in 2008 in Maryland. Cheye Calvo, the mayor of the Washington, DC, suburb of Berwyn Heights, saw his two dogs shot and killed by a Prince George's County SWAT team that burst into his home after his mother-in-law accepted delivery of a package containing marijuana. Calvo and his family were twice victimized, once by the pot traders who used his address to have their dope sent to, and again by the gung-ho, itchy trigger finger police. It is unclear how many people were killed by police enforcing the drug laws in general or conducting drug raids in particular. Although in 1999 Congress authorized legislation requiring law enforcement agencies to submit such data, it neglected to fund the program. The incidents mentioned above are only some of the most egregious and well-publicized, but they suggest that even if doing drug raids isn't particularly dangerous for police, it is for their victims. There is a better way, said a pair of former drug enforcement officers consulted by the Chronicle. It might be succinctly expressed as: "Chill out." "There is no question that in the bulk of those raids, these are not folks with any history of violence, said former SWAT team member US Special Forces sergeant James Hanson, now communications director for the veterans' group Warrior Legacy Foundation. "That should be the first hurdle: Does he have a propensity for violence? Drug warrants almost never have that level of threat. The fears police claim to have are overstated." But, he suggested, those fears can come to fruition precisely because of aggressive policing tactics. "If you dig deeper on the two or three that happened in 2008, it was the dynamic entry that triggered the violent incident," said Hanson. "Dynamic entry into a house is the most dangerous thing about it. Just wait for the guy to go to the 7-11, for goodness' sake," he exclaimed. "That way, you're not busting down doors, endangering kids, and escalating the situation." Cops didn't used to need paramilitary squads to do drug busts, said retired LAPD detective Dave Doddridge, who had long experience enforcing prohibition. "We weren't scared, we'd go knock on doors," he recalled. We didn't need the overkill. When I first joined the department back in 1973, at roll call, they would read off the houses, and we would drive up in a patrol car and knock on the door. We managed," he said. "I spent several years down in South Central kicking in doors and raiding homes, and probably served 50 search warrants," the former narc added. 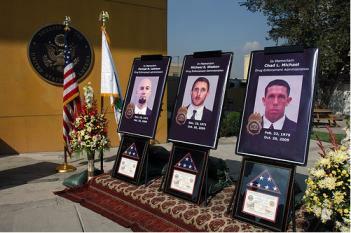 "We weren't SWAT, just a couple of narcotics detectives with our vests on, and none of us got seriously injured. There was seldom any resistance." 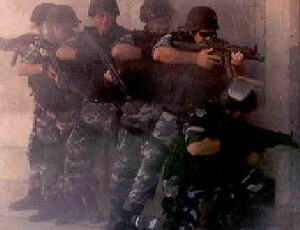 SWAT was originally envisioned as elite squads designed for rare but dangerous situations, such as hostage situations, barricaded suspects, or terrorist attacks. But in a case of mission creep gone mad, they are now used routinely for drug raids -- as noted above, to the tune of 50,000 or so a year. "In a lot of these cases, because, thanks to funds from Homeland Security, they have a SWAT capability, they have to have a reason for having it," said Hanson. "Using SWAT to serve drug warrants allows them to say it's worthwhile, and overstating the potential for violence is part of that." "SWAT definitely takes control of the situation, but that's not necessary for a family home," said Doddridge. "Maybe if there's a gang with a big drug house and they're manufacturing you should send in SWAT, but if it's a house, just send in an informant, buy the drugs, and get an arrest warrant. You don't need SWAT for that." But the SWAT philosophy is well-entrenched in American policing. Changing that mentality, or at least reining in SWAT's overuse and abuses will be a difficult challenge. But it can be done. In the Columbia SWAT raid case, public outrage led quickly to new restrictions on SWAT team deployments and new rules for their use executing search warrants. Similarly, public outrage in the case of Cheye Calvo, the Maryland mayor, led to the passage of the first state law in the country aimed at reining in SWAT. That law requires every department that has a SWAT team to report regularly on its activities. "The Maryland law is a perfect example of what needs to be done," said Hanson. "There was no auditing of how many times these teams were used in dynamic entries -- nobody from the civilian side was looking at it. If we're going to ask police to serve drug warrants, we get to decide how they do it. We don't want to put police at risk, but neither do we want to put citizens at risk. There are too many instances of bad warrants, wrong addresses, or lying informants." Doddridge, who has become a member of Law Enforcement Against Prohibition (LEAP) since he retired from the force has another idea. "We need a crack team of attorneys who are good at lawsuits to just go around and start suing like crazy," he suggested. "When they have to start worrying about paying money, that'll make them start looking over their shoulders." Faced with widespread public outrage and even death threats after the release of a video of a February marijuana raid in which two dogs were shot, one killed and one wounded, by SWAT team members in a family home with a young child present, the Columbia, Missouri, Police Department Monday moved to dampen the uproar. At a press conference, Chief Ken Burton announced he was immediately imposing new restrictions on the way the department serves search warrants. The press conference failed to assuage public anger over the raid. At a Wednesday night Police Review Board meeting frustration with the department that extended beyond the raid was evident. (Read a local press account of the meeting here. Although the raid occurred in February, the video did not appear until last week, after homeowner Jonathan Whitworth pleaded guilty to possession of drug paraphernalia. Since then, the video has gone virulently viral and has now exceeded the one million views mark on YouTube. It shows the SWAT team pushing through the front door, aggressively entering while yelling commands and obscenities, and includes the sounds of barking and gunfire, following by the yelping of the dying and wounded dogs. The video also shows Whitworth's wife and seven-year-old son being hustled away by police, while Wentworth himself is forced to the ground with guns pointed at him. According to the affidavit used to obtain the search warrant, Whitworth was a marijuana dealer selling high-grade pot. The affidavit cites two "truthful and reliable" snitches as saying so. It also includes the results of a search of Whitworth's trash in which police found THC residues. Despite the information in the affidavit, police found only a pipe and a small quantity of pot. Chief Burton acknowledged that his officers had committed errors and announced six policy changes for the way the SWAT team handles search warrants. He said they were among the most restrictive SWAT policies in the country. "The public can be assured that a similar incident is not going to happen again without somebody's head rolling because it is now the policy," Burton said. "We know what we are going to do. We're telling you how we are going to handle these things." The Narcotics Sergeant and SWAT Commander are being removed from the decision making process on whether or not, and how, a narcotic search warrant will be served. Once probable cause has been established to obtain a search warrant for narcotics, the target location will be kept under surveillance. If the surveillance is interrupted or compromised for any reason, service of a search warrant may not be authorized, or the manner in which it is served may be changed. Warrant services for narcotic-related search warrants will be served within a reasonable time after the warrant is obtained, generally within 8 hours of receipt. Prior to serving the search warrant, the Bureau Commander (Captain) over the area will be briefed about the warrant, and he or she will review all available intelligence related to the request, and will decide how the warrant will be served. Assessing the potential danger to officers, innocent bystanders, and suspects, along with what law enforcement purpose will be served by serving the search warrant, will be weighed in their decision. All available intelligence will be used to attempt to mitigate unnecessary risk to any person. Issues such as children being present will be strong evidence that dynamic entry should not be considered except under the most extreme circumstances. SWAT Officers always have and will continue to be bound by the Columbia Police Department policy regarding any use of force. They will, however, still shoot your dog, at least as far as this policy is concerned. A February SWAT raid in Columbia, Missouri, in which police shot two dogs, killing one of them, in front of a Columbia man and his terrified wife and seven-year-old child is stirring outrage months later -- after video of the raid was released this week. Police in Columbia are reporting death threats as the video goes viral and Internet message boards grow bloated with angry, outraged comments. As of Friday morning , the YouTube video had been watched more than 500,000 times. The Columbia Tribune article linked to below contained a whopping 593 comments Thursday night, the vast majority critical of police, many downright hostile. The SWAT team hit the home of Jonathan Whitworth, 25, with a search warrant alleging he was holding a major amount of marijuana and was a drug dealer. They found a pipe, a grinder, and a small amount of marijuana. Along the way, they shot the dogs, killing one of them, shouted profanities at the frightened family, and generally behaved as if they were Special Forces raiding a Taliban hide-out. Police claimed they shot and killed a pit bull because it was "acting in an uncontrollably aggressive manner," but while the video shows barking, it shows no growling. No reason was given for shooting and wounding the second dog, a corgi. According to the Columbia Tribune, police said they were unaware that a child resided at the home. Between the bad intelligence indicating they had a major drug bust and the bad intelligence regarding who lived at the target residence, the raid would seem to suggest a force gone lax in its procedures and a local judiciary inclined to rubber stamp search warrant applications. Jonathan Whitworth was arrested on marijuana possession and drug paraphernalia charges, and recently pleaded guilty to the paraphernalia charge. Now, he can concentrate on whether to file a lawsuit against the police department. "Their focus right now is to get this behind them," said Whitworth attorney Jeff Hilbrenner said. "Obviously, this was a traumatic event for his wife and son. A final decision has not been made, but they are evaluating all of their options." The Columbia Police say they are conducting an internal review. It is worth nothing that in 2004, Columbia voted to make adult marijuana law offenses the lowest law enforcement priority. Somebody should mention that to the police department and its out-of-control SWAT team. At least two US citizens were killed in their own homes by American police enforcing the war on drugs in a 48-hour period late last week. One was a 52-year-old white grandmother; the other was a 43-year-old black man. Both allegedly confronted home-invading officers with weapons; both were shot to death. No police officers were injured. The combination of widespread gun ownership in the US and aggressive drug war policing is a recipe for tragedy, one that is repeated on a regular basis. Gun owners commonly cite protecting themselves from home-invading robbers as a reason for arming themselves, while police cite widespread gun ownership as a reason they need to use SWAT-style tactics, breaking down doors and using overwhelming force against potential shooters. That homeowners would pick up a weapon upon hearing their doors broken down is not surprising, nor is it surprising that police are quick to shoot to kill "suspects" who may pose a threat to them. The first killing came Thursday morning in North Memphis, when a Bartlett, Tennessee, police narcotics squad serving a search warrant for drug possession -- not sales, manufacture, or possession with intent to sell -- shot and killed Malcolm Shaw, 43, after breaking into his home. Police said they knocked on Shaw's door several times and identified themselves as police before entering the home. While the Bartlett Police investigation is ongoing, that didn't stop the Shelby County District Attorney's Office from announcing Monday that Cicci will not be prosecuted. Cicci's killing of the homeowner was "apparent justifiable use of deadly force in self defense," a spokesman said. Bartlett police said that while the Bartlett narcs conducting the raid were not in uniform, their gear clearly identified them as law enforcement. They wore "high-visibility vests" marked "POLICE" in several spots, police said. Timothy Miers, who said he was Shaw's brother, accused police of being trigger-happy. "How you gonna go in serving a warrant and shoot somebody?" Miers asked. "They already had their finger on the trigger." The sense of disbelief over the killing was shared by members of the crowd gathered outside Shaw's home. Many complained about the officers' actions. "My heart fell to the ground," one neighbor said. "We can't believe it," said another. "Malcolm out of all people." Family members expressed confusion about the shooting, saying Shaw was not a person they would have expected to threaten officers. "They say he had a gun," said Miers. "My brother doesn't have no gun." Friends of Shaw said the same thing. "I ain't never seen him with no gun," said Arvette Thomas, a friend of Shaw. Shaw never bothered anyone, neighbors said. "I think it's wrong to just kill him like they did," said a neighbor, "because he wouldn't hurt a fly." 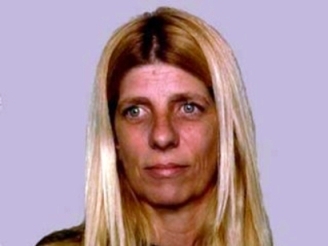 Less than 48 hours later, members of a Broward County Sheriff's Office SWAT team and its Selective Enforcement Team in Pompano Beach, Florida, shot and killed Brenda Van Zweiten, 52, during a drug raid on her home. Police had developed evidence that drugs were being sold from the residence, and obtained a search warrant. After allegedly identifying themselves as police, they broke through a sliding glass door to a bedroom and arrested Van Zweiten's boyfriend, Gary Nunnemacher, 47, on charges of possessing less than 20 grams of marijuana. Van Zweiten was in a different bedroom, and was shot and killed by deputies when she emerged holding a handgun. According to police, she refused to put down her weapon, so they shot her. Police reported finding one gram of heroin, four grams of crack cocaine, marijuana, marijuana plants, 40 generic Xanax tablets, $550 cash, two shotguns, and a rifle. Family members said Van Zweiten had a prescription for Xanax, but was not a drug dealer. But police had earlier in the day arrested three people leaving the home who they say had bought drugs there -- although police did not say from whom. After Van Zweiten's killing, police were unrepentant. "When you approach a police officer with a loaded weapon and don't put the weapon down, there's going to be consequences," sheriff's spokesman Mike Jachles said. "It's unfortunate, but I'd rather be talking about a dead suspect than a dead cop." Van Zweiten's brother, Bill George, said his sister had recently received threats and was afraid of break-ins. "It was an unlawful shooting," he said. "She's 98 pounds. She was just trying to protect herself. I would come out of my room with a gun too." As news of Van Zweiten's death spread, friends, neighbors, and family members expressed dismay and disbelief. They called the incident a "set up" and said the blonde grandmother was affectionately called "Mom" by many who knew her for using her home as a neighborhood hangout to keep kids off the streets. Dozens of people gathered in her yard near a flower-bedecked cross put up as a memorial. "Look at these people," said George. "She helped so many of these young people." "She was like a second mom to me," said Michael Miller, 18. "She would take in anybody." "There was no reason for this," said son Rob Singleton, 32. George said that Van Zweiten had reason to fear intruders because she had been threatened recently by a man accused of stealing watches and rings that were part of a shrine to two of her four sons, who had died within the past three years, one in a traffic accident, one of a drug overdose. She had just installed an alarm system last week, George said. "She was scared." Singleton showed reporters inside the house, including the small bedroom where she was shot. A large puddle of blood remained on the floor, and the walls and ceiling were splattered with blood -- from his mother's head, he said. "She was probably running into the closet and trying to hide," he said. As is all too typical in such raid, police also totally trashed the house. As the Sun-Sentinel reported: "Much of the interior of the three-bedroom house looked as if it had been hit by a tornado... Drawers were pulled from dressers, clothes were scattered, a bed was overturned, food and crockery had been knocked from kitchen cabinets." The shrine to her dead sons was also destroyed, Singleton said. Two Broward County Sheriff's Office detectives are on administrative leave pending an internal investigation. They have not been named. At least two US citizens were killed in their own homes by American police enforcing the war on drugs in a 48-hour period late last week. One was a 52-year-old white grandmother; the other was a 43-year-old black man. Both allegedly confronted home-invading officers with weapons; both were shot to death. No police officers were injured. Brenda Van Zwieten The combination of widespread gun ownership in the US with aggressive drug war policing is a recipe for tragedy, one that is repeated on a regular basis. Gun owners commonly cite protecting themselves from home-invading robbers as a reason for arming themselves, while police cite widespread gun ownership as a reason they need to use SWAT-style tactics, breaking down doors and using overwhelming force against potential shooters. That homeowners would pick up a weapon upon hearing their doors broken down is not surprising, nor is it surprising that police are quick to shoot to kill "suspects" who may pose a threat to them. The first killing came Thursday morning in North Memphis, when a Bartlett, Tennessee, police narcotics squad serving a search warrant for drug possession -- not sales, manufacture, or possession with intent to sell -- shot and killed Malcolm Shaw, 43, after breaking into his home. Police said they knocked on Shaw's door several times and identified themselves as police before entering the home. Police said Shaw emerged from a room and pointed a gun at plainclothes officer Patrick Cicci. Cicci fired once, killing Shaw. Cicci is on administrative leave pending an internal investigation. While the Bartlett Police investigation is ongoing, that didn't stop the Shelby County District Attorney's Office from announcing Monday that Cicci will not be prosecuted. Cicci's killing of the homeowner was "apparent justifiable use of deadly force in self defense," a spokesman said. Bartlett police said that while the Bartlett narcs conducting the raid were not in uniform, their gear clearly identified them as law enforcement. They wore "high-visibility vests" marked "POLICE" in several spots, police said. The killing of the well-known neighborhood handyman led to the formation of a crowd hostile to police outside his home. Bartlett police on the scene had to call Memphis police to do crowd control. Memphis police complained that the Bartlett narcs had not followed law enforcement protocols requiring them to notify the local agency when they were operating in its jurisdiction. They said they were notified only as the raid commenced, and that moments later, they got a request for an ambulance at the address, and moments after that, they got a request that they send a couple of police cruisers for crowd control. Timothy Miers, who said he was Shaw's brother accused police of being trigger-happy. "How you gonna go in serving a warrant and shoot somebody?" Miers asked. "They already had their finger on the trigger." The sense of disbelief over the killing was shared by members of the crowd gathered outside Shaw's home. Many complained about the officers' actions. "My heart fell to the ground," one neighbor said. "We can't believe it," said another. "Malcolm out of all people." Family members expressed confusion about the shooting, saying Shaw was not a person they would have expected to threaten officers. "They say he had a gun," said Miers. "My brother doesn't have no gun." Friends of Shaw said the same thing. "I ain't never seen him with no gun," said Arvette Thomas, a friend of Shaw. Shaw never bothered anyone, neighbors said. "I think it's wrong to just kill him like they did," said a neighbor, "because he wouldn't hurt a fly." Less than 48 hours later, members of a Broward County Sheriff's Office SWAT team and its Selective Enforcement Team in Pompano Beach, Florida, shot and killed Brenda Van Zweiten, 52, during a drug raid on her home. Police had developed evidence that drugs were being sold from the residence, and obtained a search warrant. After allegedly identifying themselves as police, they broke through a sliding glass door to a bedroom and arrested Van Zweiten's boyfriend, Gary Nunnemacher, 47, on charges of possessing less than 20 grams of marijuana. Van Zweiten was in a different bedroom, and was shot and killed by deputies when she emerged holding a handgun. According to police, she refused to put down her weapon, so they shot her. Police reported finding one gram of heroin, four grams of crack cocaine, marijuana, marijuana plants, 40 generic Xanax tablets, $550 cash, two shotguns, and a rifle. Family members said Van Zweiten had a prescription for Xanax, but was not a drug dealer. But police had earlier in the day arrested three people leaving the home who they say had bought drugs there -- although police did not say from whom. After Van Zweiten's killing, police were unrepentant. "When you approach a police officer with a loaded weapon and don't put the weapon down, there's going to be consequences," sheriff's spokesman Mike Jachles said. "It's unfortunate, but I'd rather be talking about a dead suspect than a dead cop." Van Zweiten's brother, Bill George, said his sister had recently received threats and was afraid of break-ins. "It was an unlawful shooting," he said. "She's 98 pounds. She was just trying to protect herself. I would come out of my room with a gun too." As news of Van Zweiten's death spread, friends, neighbors, and family members expressed dismay and disbelief. They called the incident a "set up" and said the blonde grandmother was affectionately called "Mom" by many who knew her for using her home as a neighborhood hangout to keep kids off the streets. Dozens of people gathered in her yard near a flower-bedecked cross put up as a memorial. "Look at these people," said George. "She helped so many of these young people." "She was like a second mom to me," said Michael Miller, 18. "She would take in anybody." "There was no reason for this," said son Rob Singleton, 32. Van Zwieten had no criminal history involving drugs or violence, state records show. George said that Van Zweiten had reason to fear intruders because she had been threatened recently by a man accused of stealing watches and rings that were part of a shrine to two of her four sons, who had died within the past three years, one in a traffic accident, one of a drug overdose. She had just installed an alarm system last week, George said. "She was scared." Singleton showed reporters inside the house, including the small bedroom where she was shot. A large puddle of blood remained on the floor, and the walls and ceiling were splattered with blood -- from his mother's head, he said. "She was probably running into the closet and trying to hide," he said. As is all too typical in such raid, police also totally trashed the house. As the Sun-Sentinel reported: "Much of the interior of the three-bedroom house looked as if it had been hit by a tornado... Drawers were pulled from dressers, clothes were scattered, a bed was overturned, food and crockery had been knocked from kitchen cabinets." The shrine to her dead sons was also destroyed, Singleton said. Two Broward County Sheriff's Office detectives are on administrative leave pending an internal investigation. They have not been named. Maryland state Sen. C. Anthony Muse (D-Prince Georges) has filed a bill, SB 30, that would prohibit Maryland police forces from conducting SWAT team raids on homes where the only suspected offense is a misdemeanor. The bill also requires county prosecutors to sign off on SWAT team search warrant applications before they are submitted to judges. The bill is only the latest fallout from a July 2008 raid by the Prince Georges County Sheriff's Department SWAT team at the home of Berwyn Heights Mayor Cheye Calvo. The SWAT team was after a marijuana-filled box that had been delivered to that address, but subsequent investigation revealed that the mayor and his family were victimized in a smuggling scheme that used Fedex to ship drugs and knew nothing about the box, which had already been intercepted by police before being left on the family's porch. Mayor Calvo and his mother-in-law were cuffed and detained, and the two family dogs were shot and killed by SWAT team members. Last year, the raid -- and the Prince Georges Sheriff's Department's refusal to acknowledge any wrongdoing -- led Sen. Muse to file the first bill in the nation to try to rein in aggressive SWAT teams. That bill, which required extensive reporting requirements on SWAT team deployments and results, passed into law and took effect January 1. Muse's current bill had a hearing Tuesday in the Judicial Proceedings Committee. Law enforcement officials from across the state showed up to complain that the bill would add unnecessary steps to the warrant review process and threaten the safety of SWAT team officers. No vote was taken.